Of course this award would not have been possible without our dedicated and loyal patients who are as committed to their health as we are to them. It is humbling to have the opportunity and honour of being dedicated to what you do. We love the awesome reward of bearing witness in the improvement to our patient’s health. This past year we have had the privilege of sharing in the joys of improved sight for those patients that have had eye treatments, success stories of healthy baby deliveries from couples who have struggled with fertility, to improved emotional and physical wellbeing over all. It is the stories of all of our patients that keep us motivated to continue growing, learning and improving. We are eager for the year ahead and what it brings! Jing is known as essence and has three main energy components one of which is related to your hormones. Jing is also responsible for keeping the mind, body and spirit in balance. Yin balances the blood and fluids in your body and yang balances the energy and warmth of the body. Chinese theory sees Jing as being housed in the kidney’s which is one of the organ systems that are responsible for regulating hormones. During the course of the lifetime Jing is what is responsible for nourishing cells, tissues and organs. When the hormones are imbalanced the Jing or (essence) depletes and therefore, the goal in Chinese medicine is to restore Jing. itself. HRT in Western medicine uses an artificial substance to regulate hormones and can come with potential complications such as heart problems, stroke, and blood clots. For men it can reduce symptoms of hypothyroidism. Your acupuncturist will evaluate you by checking your pulse or tongue to better understand the hormonal imbalance. A treatment plan will be formed that will aid your body in balancing itself out. Herbs, teas, diets and an exercise plan may all be suggestions from your acupuncturist. The tongue is associated with the internal organs of the body as well as the meridians. The meridians in TCM refer to pathways within the body where energy is known to flow. These energy pathways coincide with the overall health of the organ system they correspond with. The colour of the tongue serves as an indicator of the internal temperature of the body and correlates with circulation from the liver and the heart. Colour of the tongue can also reveal to your acupuncturist if there is a heat or cold condition present. A heat condition indicates that the body’s internal temperature is too warm and vice versa for cold conditions. This is also why your acupuncturist may suggest that you eat hot or cold foods (see: Healthy Eating According to Traditional Chinese Medicine). Red or Pink: Indicative of the internal temperature of the body and is a normal colouring. However, too much redness (only when applicable symptoms exist), could indicate a “heat” condition. White: The thin white layering of the tongue is referred to as the tongues coating. In individual cases, the coating can vary from week to week. For example when a woman has their period, is pregnant or after labour the white coating may change. The white layer is indicative of a healthy digestive system however, if the white layer has a thickness to it, this could mean a “cold” condition is located in the GI tract. Poor circulation (blood clots and toxins) can cause there to be more or less white coating. Purple: A purple colouring is indicative of poor blood circulation, due to the liver and the heart. But there are several other reasons why the colouring of the tongue may be purple. Migraines and arthritis are a couple examples. Yellow: The GI tract is inflamed and digestion is sluggish. Your acupuncturist will also examine the shape of the tongue to gain a sense of the nature of a condition. 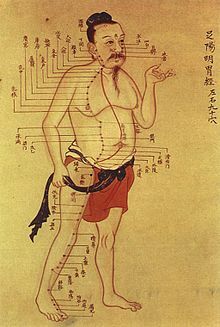 Therefore; it is important for your acupuncturist to take a look in order to gain a sense of your body and your health. Third Year in a Row! 2017 Consumer Choice Award Winners! ‘Honoured’ doesn’t begin to describe how we feel about achieving this prestigious award! With so many other great practitioners in the city, we are so excite d that we have been chosen as the Top Acupuncturist in the GTA for, not once, not twice, but three years in a row. 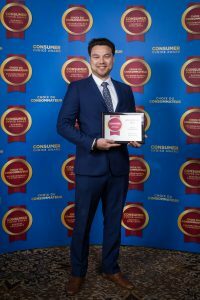 Thank you to the Consumer Choice Awards for recognizing great business and empowering consumers to make smart buying decisions. It is such a great feeling to have your hard work recognized. We are so blessed to have such a loyal patient base, and so excited by the daily miracles we experience in the clinic. From the struggling fertility couple who is finally able to conceive; to the young adult born with a genetic eye condition that is able to see better; to the construction worker who’s back pain is gone; it is the stories of all of our patients that keep us motivated to continue growing, learning and improving. Jing (essence), according to Chinese philosophy, forms the entire body’s foundation. 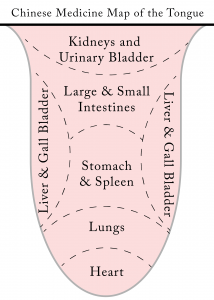 You will find jing stored in the kidneys. Jing is a powerful form as a human’s conception is made possible, while one’s growth and aging shows the weakening stage of jing. Through specific lifestyle and behaviours, we can replenish and grow the jing we have in our bodies. To store an ample amount of jing in our bodies, a healthy lifestyle is needed. Some of the dietary recommendations include eating various food selections according to one’s individual needs, changes that occur in each season and being careful with the balance of energies and flavours of food eaten. Some examples of flavours affecting one’s body functioning include eating too much sour food, which will cause a hyperactive liver leading to problems of digestion. On the opposite end, eating too much sweet food will disturb the kidney’s functioning and one’s complexion will darken. It is often the case that a person with a low spirit is eating excessive amounts of highly flavoured foods. Having the discipline of eating at a regular schedule and eating more easily digestible foods will highly increase the level of healthiness you keep. Sleeping will recharge and replenish the balance of yin and yang in the body. The recommendation of falling asleep at the yin-time (night) and the yang, (morning) is best suited for healthiness and balance. With a history dating back almost 5000 years, Acupuncture and Traditional Chinese Medicine are one of the oldest forms of medicine still effectively practiced today. Originating in Ancient China, it is now integrated into many modern healthcare centers worldwide. Many beneficial technologies have been produced from war and trying to make dangerous weapons. According to legend, the art of acupuncture was discovered when Chinese warriors found that arrows striking them at certain points in the body healed them of chronic conditions. We can only imagine the first soldier who stumbled upon this discovery, “Ouch that arrow in my back hurts like heck, but my headaches feel way better!”. The popularity of Acupuncture began during the Nixon administration. While visiting China in 1972, one of his reporters underwent surgery there for an emergency appendectomy. The doctors used acupuncture during the anesthesia and recovery stage. The reporter was so impressed by his effective surgery and quick recovery that he wrote about it in the New York Times and popularity has spread since then. 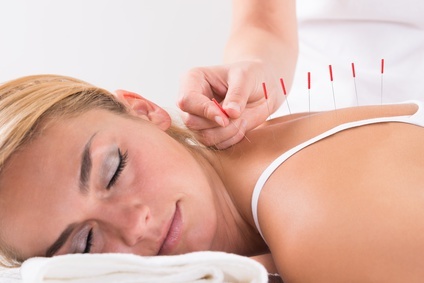 Acupuncture employs the use of fine sterilized needles to stimulate very specific points on the body. These points are usually areas of nerve bundles, dense muscle, or connective tissue, and have been found to conduct electricity at higher rates than non-acupuncture points. When properly stimulated, each point on the body will cause a different specific response to increase healing and boost the body’s natural function. As an example, a point on the lower leg can increase the immune system, or a point on the foot can increase blood circulation to the forehead. To date, there are around 2000 different points discovered so far. However, a typical acupuncture treatment will only use 8-12 carefully selected points. Acupuncture can help treat a very wide variety of disorders. It can help people suffering from depression, irritable bowel syndrome, fertility, degenerative eye conditions, and much more. However, acupuncture is best known for its treatment of pain conditions. This includes migraines, arthritis, sports injuries, and lower back pain. But most people can benefit from an acupuncture treatment. It’s positive effects in regulating mood and stress make it a great way to bring the body to balance, increase energy, and get a better night’s sleep. During a person’s first acupuncture treatment, they are usually surprised to find how LITTLE they feel during the needling process. A common reaction, said in a confused and amazed tone is “it’s already in??”. The needles used in the treatment are extremely thin, less than that of a human hair. Needles are always pre-sterilized, and single use, thus no chance of cross infection between patients is a concern. There exists a separate branch of Acupuncture for veterinary medicine as well. By applying the same logic of the acupuncture points to animals, similar results are achieved as well. Many veterinary clinics and breeders have employed the use of Acupuncture for their pets and animals to achieve amazing results. This includes treatments for cats, dogs, and even horses! While most people have heard of Acupuncture alone, it actually falls under the umbrella of Traditional Chinese Medicine. This includes all of the other modalities that have been practiced in the Chinese culture for millennia. This includes the use of cupping, auricular seeds, moxibustion, guasha, Chinese herbs, meditative practice, and dietary therapy. While each one of these other tools has their separate applications and uses, they are usually combined with the practice of Acupuncture, so don’t be surprised if you go in expecting needles only but end up getting other methods used as well to enhance the effect. It is important to keep in mind that even though Acupuncture is very effective, it is still only one of the tools a Traditional Chinese Medicine Practitioner has in their arsenal, so is best combined with other medicines as well. Qi Gong- Breathe Your Way to Healthy Living! Qigong is an ancient Chinese health care system that involves practicing specific postures of the body and using breathing techniques while bringing a concentration to intention. The word itself means developing energy through a firm practice. There are three styles of qigong practices: marital, medical and spiritual. All practices include a moving or stationary posture, particular breathing methods and mental focus. Tai Chi is the softer style compared to the more intense style of Kung Fu. A method of exercise that is approachable to all ages and those in any physical health, it is easily modified and very gentle for the body and soul. While bringing a feeling of youthfulness and reducing feelings of stress, the movements used with qigong will build your body’s stamina and reinforce your immune system. Studies have shown that qigong will improve not only cardiovascular, digestive and respiratory functions, but will also refresh your body, mind and soul’s connection. We did it again!! Award-Winning Acupuncture Clinic Two Years In A Row! 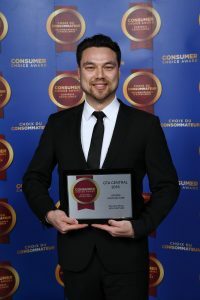 Such a humbling and honoured feeling it is to be recognized as the Consumer Choice Award Winning Acupuncturist for the GTA, not once, but two years in a row! Needless to say, it has been a good 2015 and 2016. 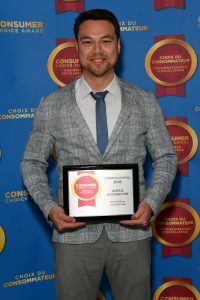 Thank you so much to the Consumer Choice Awards, but more importantly, to all of the wonderful patients and supporters of Avenue Acupuncture. We would definitely have not gotten to this place without the backing of such wonderful patients, and their stories to go along with it. It is almost unfair to love doing this kind of work so much. To be rewarded by the presence of amazing people, to be able to see the positive changes in their lives, to get as much emotional and intellectual satisfaction as I do, and then on top of it to be recognized publicly, such a wonderful feeling! Thank you again, truly.